If you have read any of my previous blog posts, you know the main purpose of my writing is to share my experiences as they relate to leadership and life. Trust me – I am conscious of the imperfections of my efforts – but my motivation is clear – to provide others a glimpse of the lessons I have learned with the hope they can in turn build better families, marriages, and friendships. This post is one of those specific moments. Today is the first day of 2017. A beginning of a New Year that started off the same as many others. We went to church, went to lunch, came home and due to some great weather – spent the next 5 hours outside (basketball with friends is always fun)! During dinner (which occurred after showers for some stinky boys) we paused to reflect on the past year. You see at this time last year Liz placed this jar on our kitchen counter. She put a pad of paper and a pen next to it and explained to all of us that all we had to do was when something happy, exciting, funny, etc…happened all we were to do was write it down and place it in the jar. Well tonight at dinner we took turns pulling out a note and reading each memory. I was amazed and impressed with the moments that impacted my family. Of course we had the big events: first NFL game, white-water rafting and zip-lining in New Mexico, and first buck killed. But the majority of the memories mentioned were simple but special: snow cones with friends, block party with neighbors, events at church. This was a great reminder for me that it’s the simple but intentional moments that matter most to my family. And more importantly, this gave us a great opportunity to reflect on God’s blessings this past year. After walking down our 2016 memory lane we focused on 2017. We then talked about goals. We each listed a physical, spiritual, and academic (or work related) goal. We discussed how as a family we can work towards each of them. I was amazed at the depth of some of the goals of my young men. They inspire me to set bigger goals!! So what’s the point of all this – you see at the church where I am blessed to serve we continually encourage our parents to be the primary faith trainers in their home. At first glance this can seem overwhelming. Like most things in life, specifically in parenting and marriage, we over complicate what was meant to be natural. We add pressure to live up to a standard presented on a blog or Pinterest page. We grab our Bible, our spouse, our kids, and our best intentions and off we go! So in our own strength we try harder…. And we fail (according to the unrealistic standards)…. Then we become overwhelmed or feel defeated and we give up…..
Then unfortunately we don’t do anything. Well guess what – it is a New Year and you have a clean slate! Take this opportunity to connect your faith and family. Remember, it doesn’t have to be amazing and extravagant, it simply has to be intentional. 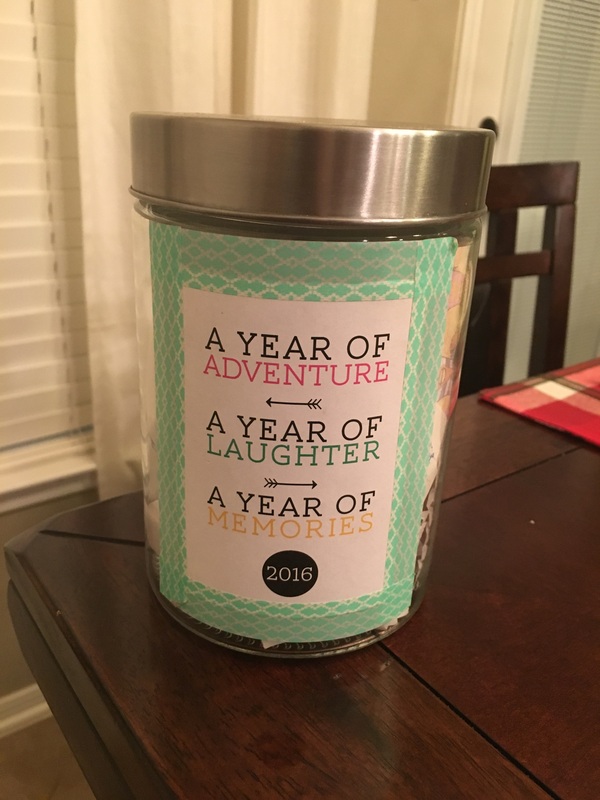 Oh yeah – and put a memory jar on the counter – trust me, in 365 days you will be glad you did! This entry was posted in Family, Leadership, Parenting and tagged Goal Setting, new year, parenting. 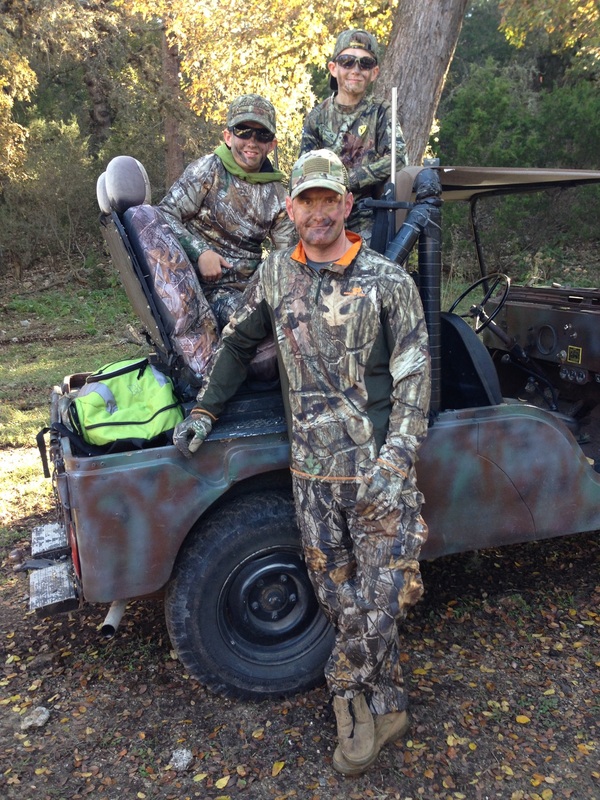 I love the outdoors – fishing, hiking, riding 4 wheelers, I could go on….but I especially like hunting. When Liz and I first got married I remember talking about taking our kids hunting. I couldn’t wait for that day. We even named our first child Hunter! (I can also share with you offline how Liz vetoed my recommended name for our second son). 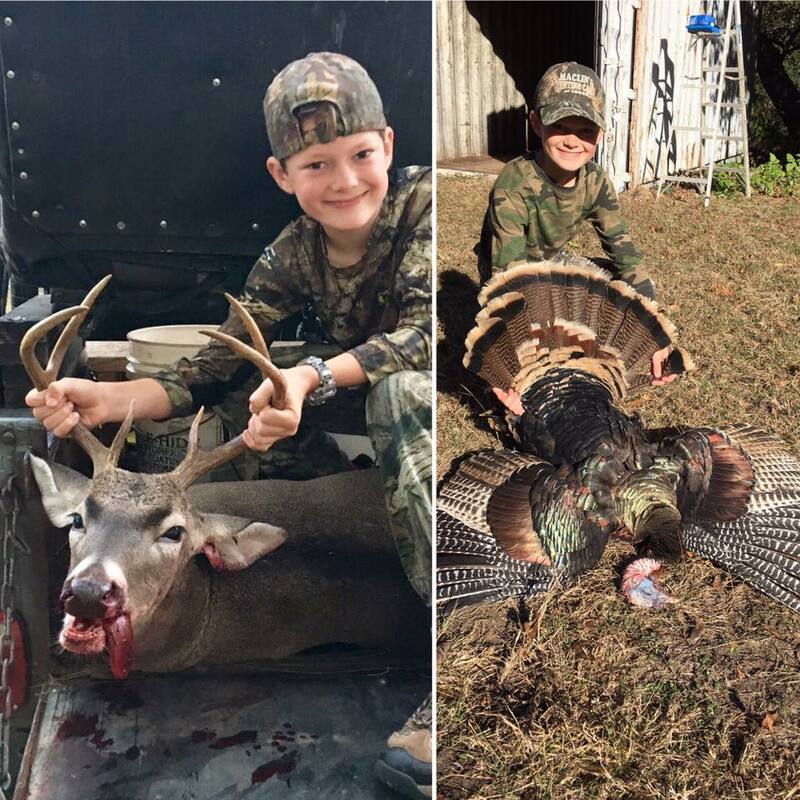 Well God has been especially generous; we now have two young boys who are roosted on our family tree and are already bearing camo-clad fruit on the branches of our heritage as hunters. Each year we take at least one hunting trip with my father in law. The boys love hunting with their Dad and their Grandy; while my father in law and I simply love spending time with the boys. This past week we completed this annual tradition again. As we have now returned from our week in the woods I begin reflecting on the lessons hunting teaches my kids (and all of us). Stay in Your Stand: Sometimes you see deer, sometimes you don’t. Patience and endurance is KEY. The longer you are willing to wait, to stay in your stand, the better your chances of having a successful hunt. Hunting teaches us that a lack of patience and endurance bears little fruit. Stay Awake: Last week I read an article in a hunting magazine that stated the #1 reason why hunters are typically unsuccessful is that they fall asleep during key moments of the hunt. I personally know how hard it is to stay awake. Arriving in the woods before sunrise and sitting still for hours is the perfect recipe for a nice nap. Add some cold weather and bundles of warming layers and even the best hunter is tempted to close his eyes for a moment. In its most raw ways, hunting teaches us that comfort based decisions are costly and rarely produce results. I want my young men to know that there will be many times after a long day at work that they will want to go home and rest, to check out for a while…however their wives and kids will require time and attention. I hope they seize the moment to spend time with their family. 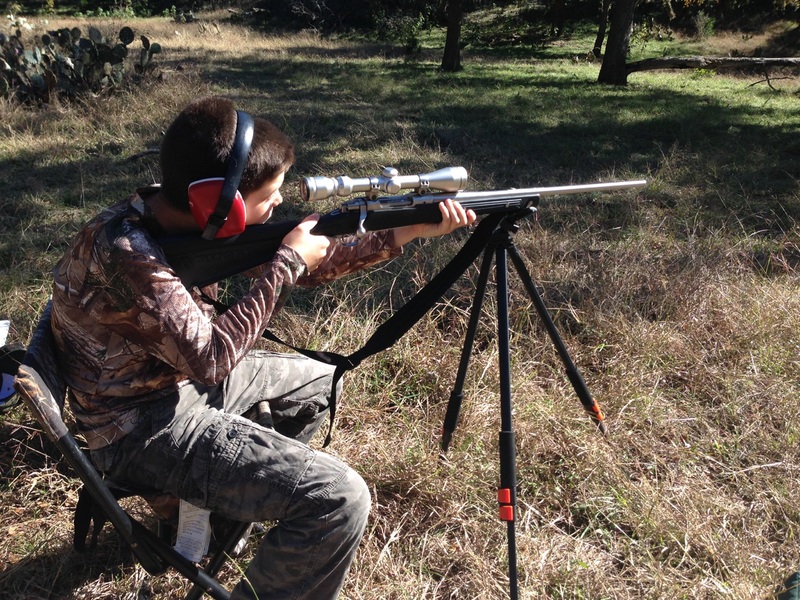 Know Where to Aim: The first thing we always do during our hunting trips is conduct some refresher training. We go over gun safety rules, the hunting laws (what we can and can’t shoot), and most importantly, when the right time comes, knowing where to aim. Anyone can shoot a gun, but knowing where to aim and how to hit your target makes a successful hunter. As both my boys go through life I want them to have a crystal clear focus on where to aim. The world will present cheap targets with brief, momentary satisfaction. 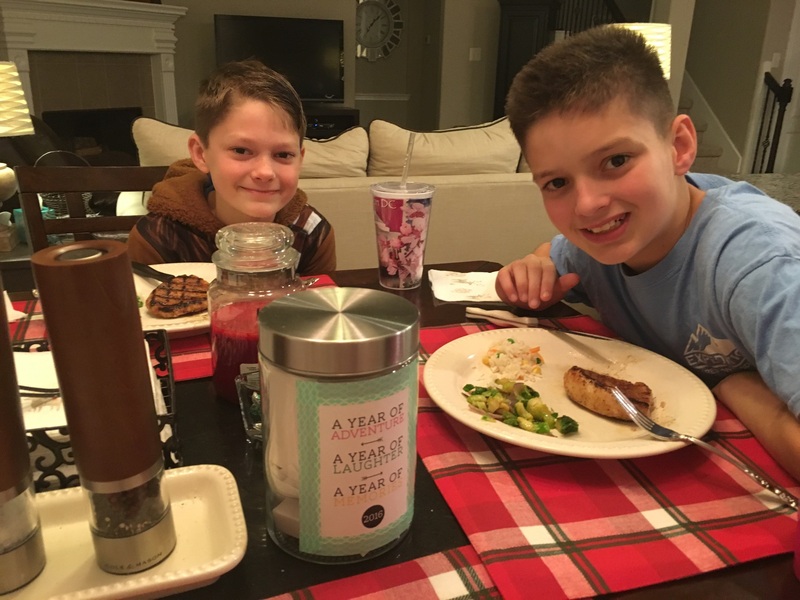 My prayer is that throughout the struggles and setbacks, the successes and victories, that my boys will always keep their aim on Christ and Christ alone. 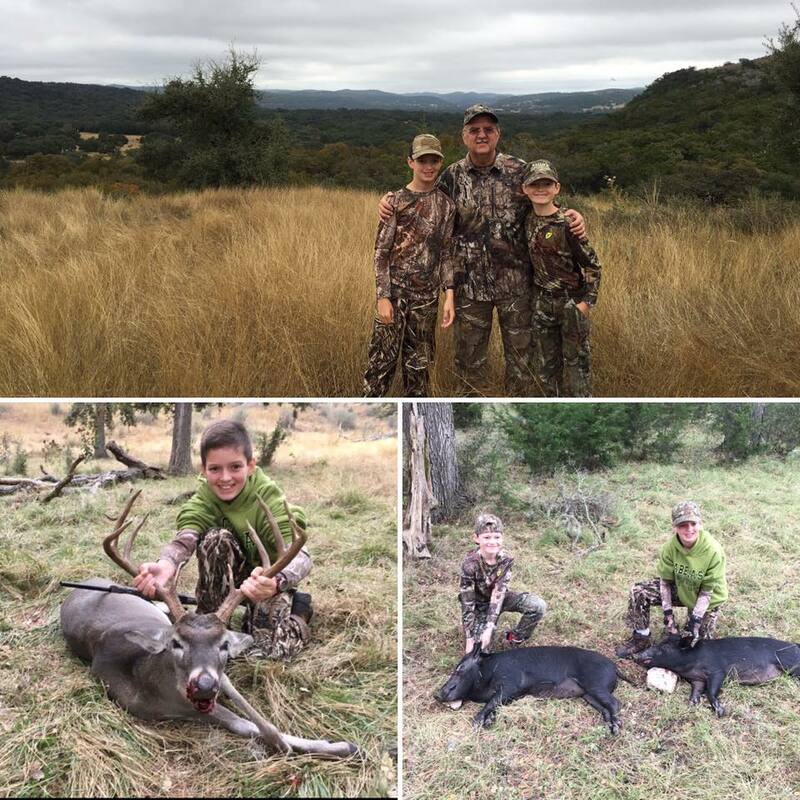 This entry was posted in Family, Parenting and tagged hunting, life lessons, parenting. It’s that time of year again. Here in the next week or so we will start to see the sweet pictures on Facebook and Instagram of kids heading out the door on their way to school. For some it is their first day of preschool and for others it may be the first day of their last year. Some go to public schools while some study at home. Regardless of the age or location, one thing remains the same, it can be a scary, exciting, and challenging time for the kiddos and the parents. But this time can also be used to have some powerful conversations with your child. So here is my back to school advice….I don’t have much….just one lesson, one tip, one challenge for you. Focus on the people they are, not the places they will go. 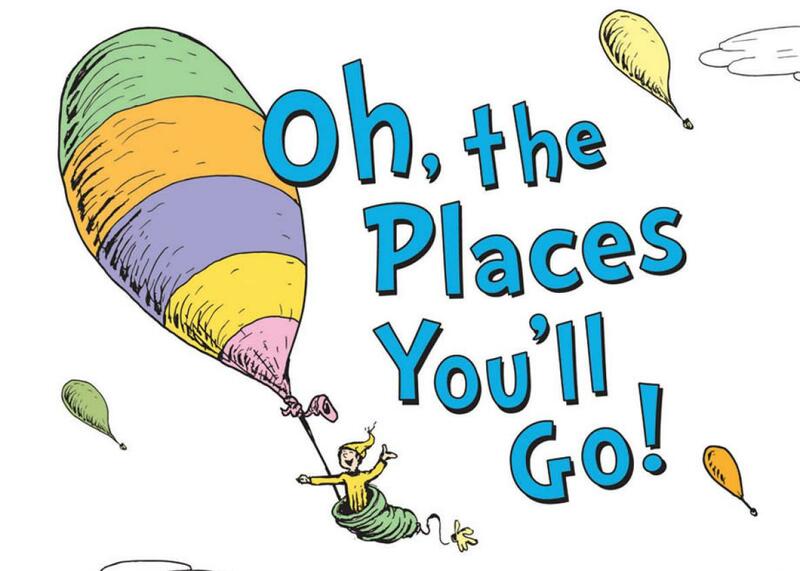 In 1990, Dr. Seuss wrote the national best-seller “Oh, the Places You’ll Go.” This is a great book that has some profound lessons for each us; but more essential than our child’s journey is their identity. As parents we have a duty to bless our children for who they are – a child of God created with infinite value, dignity and worth – not for what they may or may not do. 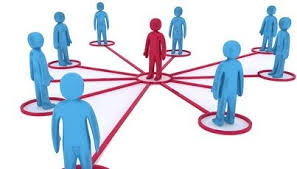 You see when we accidently or unconsciously build a link in our child’s mind connecting their acceptance or approval with their performance (or the places they may or may not go) we miss the mark. So before your child heads out the door this school year bless them! Remind them that they are chosen, loved, and accepted….fully and unconditionally. Remind them that your love is in no way tied to performance….performance in a class room, performance on a ball field, performance in life. 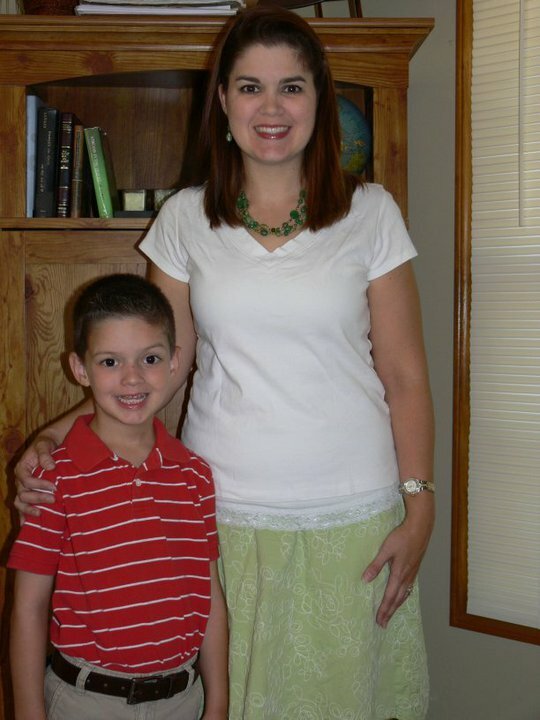 This entry was posted in Family, Leadership, Parenting and tagged blessing, parenting, school year. I have something like 700 contacts in my phone. You might have double that, or half that. My friend Josh has like 3,000. It’s just the world we live in. But even if you only had 100, you wouldn’t really know each of them well. Not deeply. Not personally. You couldn’t. Our relational span just isn’t that big. If I were to be honest, there are really only about three to five that I call or text all the time. These are the handful of people closest to me. These few folks know me inside out…my good points and not so good ones. My dreams and my struggles. My favorite and least favorite things. They’re the ones who are not only great friends, but great advisors. I’m sure there are parents who say, “My kid will always want to talk to me.” But let me ask you something, did you tell your parents everything? Exactly!! I would encourage you to spend some time over the next few months identifying people your kids can build a trusting relationship with. My guess is between small group leaders, neighbors, family friends, uncles, aunts, grandparents, coaches and teachers, you will find a few who will be willing to spend a little one on one time with your child periodically. Widening the circle doesn’t have to be a sneaky parent move. Let your kid in on the conversation by brainstorming people your family knows best. Then answer the questions: What can each person do well? What can I learn from them? How can they help me? How can they be a part of our family’s circle? I am thankful for some great family members and some wonderful friends that continually pour into both my boys. They come to sporting and church events. They play basketball in the drive way with them. They sit by them in church. Simply put, their actions say, “I am here for you.” And my family is better because of their influence. This entry was posted in Family, Friendship, Leadership, Parenting and tagged influence, parenting, widen your circle. This entry was posted in Family, Leadership, Misc, Parenting and tagged family, hunting, parenting. It was summer 1996 and these were the words of my Senior Drill Instructor, Staff Sergeant James Porter. He was demonstrating to my boot camp platoon how to properly carry our Marine Corps “pack” in preparation for the long days of hiking ahead. 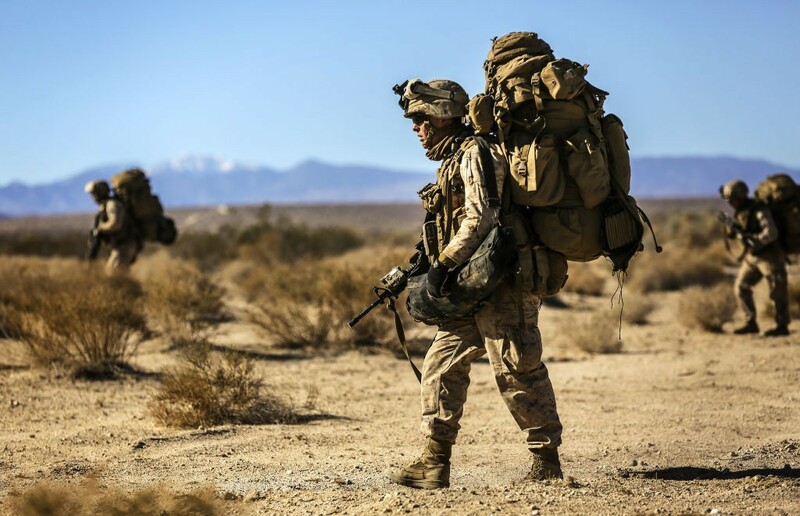 For our next phase of training, we would spend some time in the mountains and hills over San Diego with more than 80lbs on our back. I watched as those who took his advice and instruction thrived, while those who did not failed. As a husband, there are many weights in my pack; however experience has taught me that one of these weights is typically larger than the rest: expectations. These expectations are typically broken down into two parts. In my short 16 years of marriage I have learned this one basic lesson: There is always a gap between expectations and behavior. Maybe this gap is there because of how things were done with my family or how things where done in her family. Maybe this gap is there because of something I have failed to communicate. Regardless of the reason….the gap is there. But here is the bigger issue – I will typically fill that gap with one of two responses: I can believe the best about her OR I can assume the worst about her. I want to be clear // what we choose to put in that gap is fundamental to the health of our marriages. Our relationships will grow or fade depending on what we choose to put in that gap. 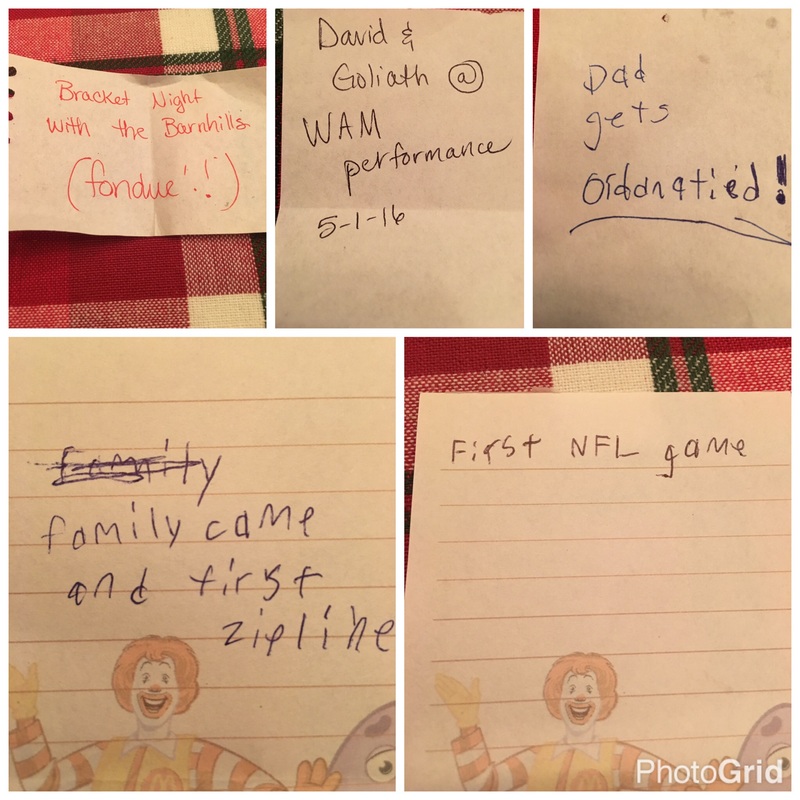 This entry was posted in Family, Marriage, Misc and tagged expectations, love, parenting. #1. Be a gentle-man. Open the door. Give sincere compliments. Have good table manners. Always be characterized by the needs of others before your own. #2. Make eye contact and listen. Show her she is important by paying attention to her. Truly listening to her shows respect. As our boys mature, Liz and I will have additional conversations with them about boundaries (physical and emotional), about leadership and intentions, and plenty about respect and purity. More important than all these conversations is the example that I provide. How I treat their Mom will set the tone for how they view women. Through my words and actions, for better or worse, I will teach them what respectful behavior is. One day each of my boys will fall in love with a beautiful young lady and begin an exciting new chapter in their book of life; however Chapter One will be always be dedicated to the first girl they ever loved…their Mom. This entry was posted in Family, Leadership, Parenting and tagged family, leadership, parenting.